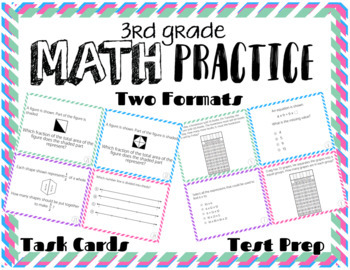 All current Florida Standards Assessment Grade 3 Mathematics Item Specifications Sample Items were used to create test prep task cards. Two formats are available for purchase: Format 1- Task Cards with sample item and correlating response method (ex. Multiple Choice, Equation, etc.